Crypted is a ransomware-type cyber infection that emerged in spring 2016 appending .crypted file extension to various files on the targeted computer. However, in November 2017, computer users reported about data being locked with .crypted_uridzu@aaathats3as_com extension. Malware researchers assume that criminals created a new, undecryptable version of the malware. Though, this crypto-virus is still under investigation. Crypted virus is also known as Nemucod ransomware. However, the file extension that it originally appends is also used by PyCL ransomware virus. When audio, video, music, images, documents, and other necessary files are encrypted, malware drops a ransom note. Ransom-demanding instructions are delivered in two files – Decrypt.txt or Decrypt.hta. They state that that victim’s files were encrypted and that one needs to buy a private decryption key, which can be used for data decryption. Finally, in this case, you can recover your files without paying the ransom! Crypted ransomware is a version of Nemucod and it locks files in order to receive a ransom. Usually, the virus leaves Decrypt.txt file on victim's computer - it is a ransom note that contains a message from cyber criminals. Nevertheless, the majority of ransomware viruses are undefeatable, and there is no way to restore files unless authors of the malware reveal decryption tool. However, in case of .Crypted ransomware attack, malware researchers have good news. There's a free decryption tool that can restore files with .crypted extension. 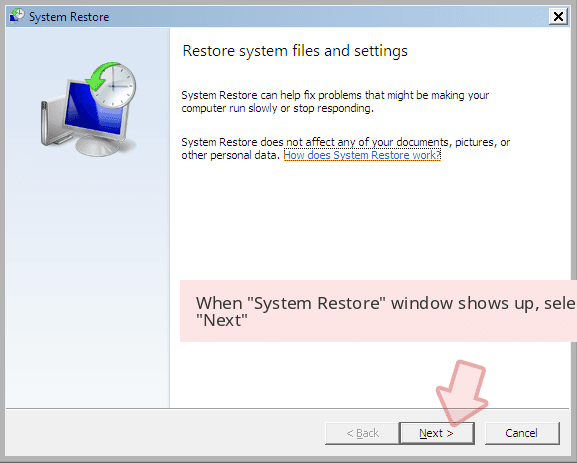 You can find full data recovery instructions in the guide presented below virus' removal instructions. To remove Crypted virus, we recommend using Reimage or another trustworthy malware removal tool. It is not recommended to play with this ransomware and attempt to remove it manually unless you know what you're doing. If you lack knowledge about computer viruses, please do not try to uninstall this virus manually. IMPORTANT NOTE. Please remember that .crypted file extension virus differs from .encrypted file extension virus. The latter extension is used by many different ransomware viruses such as CryptoLocker, Keranger and Crypren. Crypted malware usually spreads via infectious emails: the cyber criminals send fake emails that contain attachments. It is vital to check if you know the sender of email before you open it or its attachments. Usually, frauds pretend to be delivering relevant documents, for example, invoices, price charts, bills, resumes and so on. Be careful when dealing with such emails. In addition, stay away from Spam/Junk folders as many fraudulent emails do not pass these email security filters and fall into these categories. You should be attentive when browsing the Internet as cyber criminals tend to spread malicious files and programs by concealing malicious links in some websites. Try to avoid visiting suspicious websites, and refrain from clicking on intrusive pop-up ads or banners. 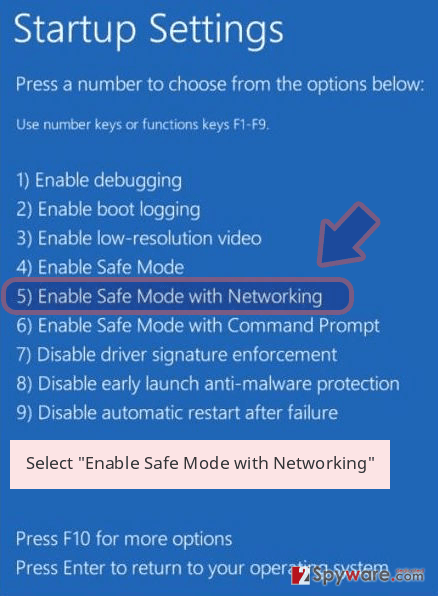 Also, avoid downloading files from insecure file sharing networks. You might install Trojan horse on your computer without even knowing it; reportedly, a trojan named JS.Nemucod spreads this ransomware, as well as other well-known viruses, such as Locky, Teslacrypt, KeRanger, and others. Crypted removal is a hard process. The ransomware is a complicated and well-constructed virus, which hides its components deeply in the computer system. Moreover, components of such viruses use safe-sounding names, which makes it harder to identify them. For this reason, we recommend you to install a professional malware removal tool and terminate all programs and processes related to it. We recommend using Reimage or another top-rated malware removal software. 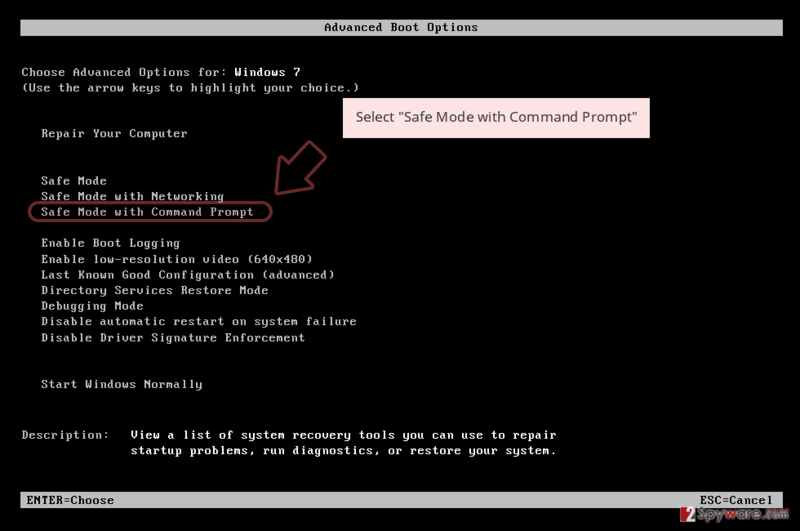 In case you wish to remove Crypted virus but your anti-malware software won't start, follow these instructions that will help you to prepare your computer for malware removal. 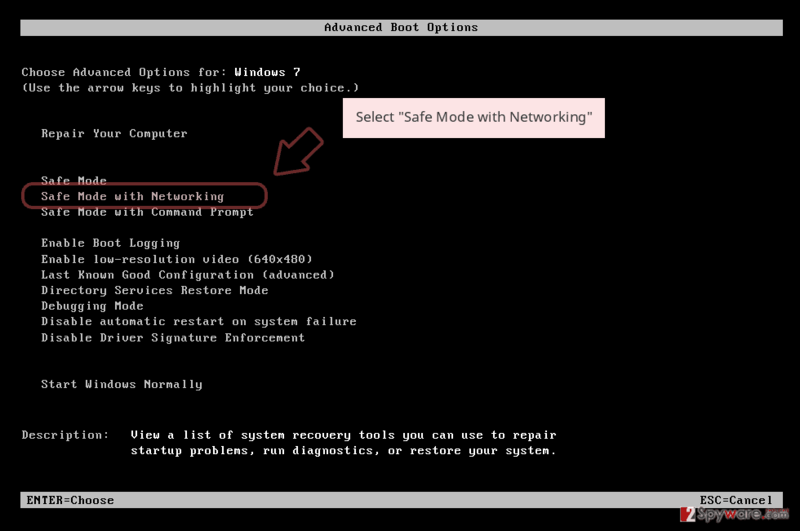 First things first, remove the virus using instructions on how to reboot your PC into Safe Mode with Networking. 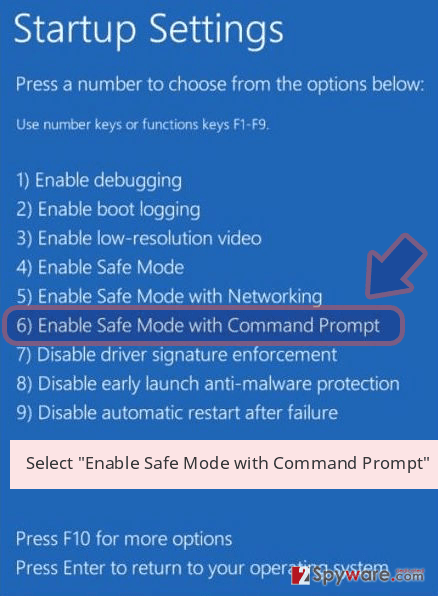 Once you reboot the computer into the right mode, let an automatic malware removal software do its job. Log in to your infected account and start the browser. Download Reimage or other legitimate anti-spyware program. Update it before a full system scan and remove malicious files that belong to your ransomware and complete Crypted removal. 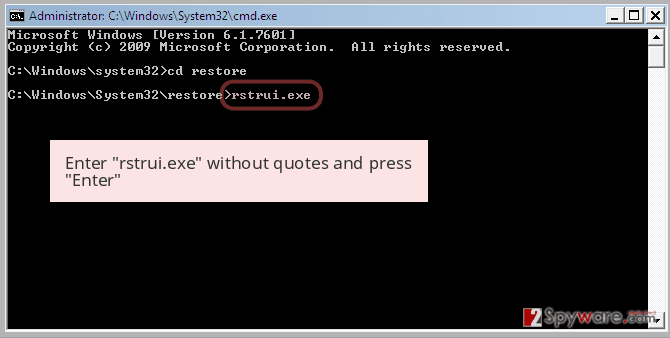 When a new window shows up, click Next and select your restore point that is prior the infiltration of Crypted. After doing that, click Next. 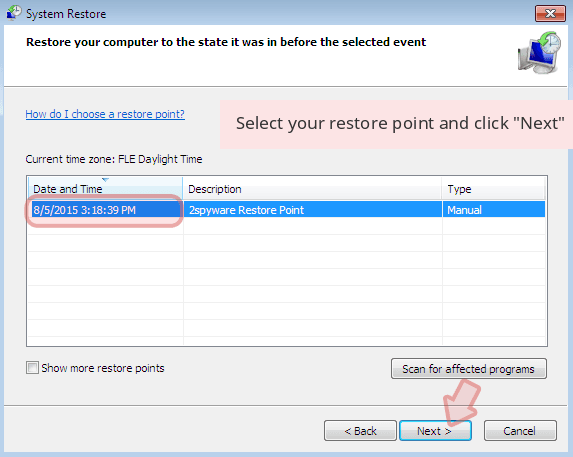 Once you restore your system to a previous date, download and scan your computer with Reimage and make sure that Crypted removal is performed successfully. Guide which is presented above is supposed to help you remove Crypted from your computer. To recover your encrypted files, we recommend using a detailed guide prepared by 2-spyware.com security experts. If your files have been encrypted by the discussed virus, do not even think about making the payment. 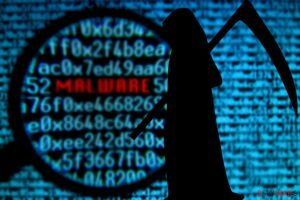 Malware researchers have already discovered a method how to crack this ransomware and developed Crypted decryption software. You can find instructions how to use it below. In case the suggested decrypter doesn't help you to recover your files, you can give Data Recovery Pro a try. This data recovery software is known to be effective when dealing with corrupted or deleted files. To recover your files, download this program – Crypter decryptor, and then find two files – the original one and encrypted version of it. You can use any file you want, and the easiest way is to use sample photos that are stored in My Pictures folder. Once you have the two files, select both of them and drag them to the icon of the decryptor you have just downloaded and release. The decrypter then brute-forces the key, which is required for data decryption. ^ Danny Palmer. Ransomware: This free tool lets you decrypt files locked by a common version of the malware. ZDNet. Technology News, Analysis, Comments and Product Reviews. ^ Public Key and Private Keys. Comodo. Resources. ^ Decrypt latest Nemucod ransomware with Emsisoft’s free decrypter. Emsisfot Blog. Latest security and malware news. ^ UdenVirus official website. UdenVirus. Malware Removal Advice, Cyber Security Tips. This entry was posted on 2017-12-14 at 02:28 and is filed under Ransomware, Viruses. How did you remove Crypted virus?